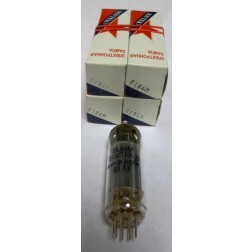 6BQ5 / EL84 - Audio Tubes - Tubes - Transmitting, Audio, Misc. 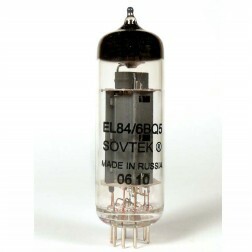 The Sovtek 6BQ5 / EL84 series produce an unbeatable smooth, warm, distortion. 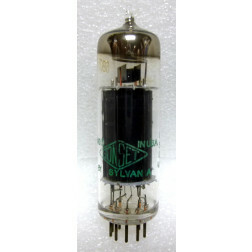 Excellent replacements in vintage VOX AC-30's and the like, our EL84's are used by Fender, Crate, and Peavey. 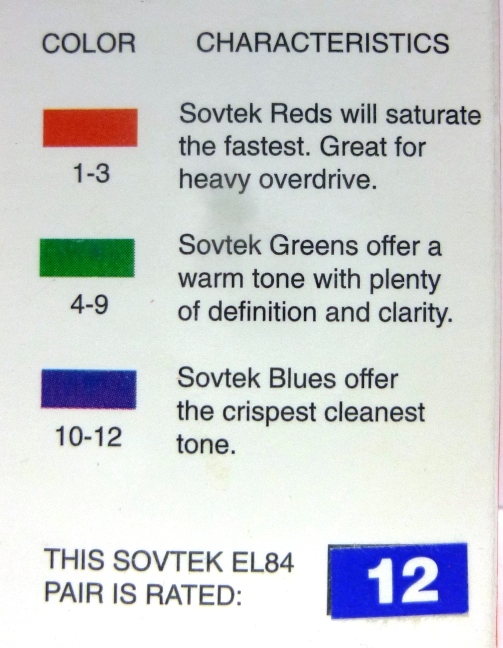 Sovtek EL84's are available in platinum matched sets. Our platinum matching process consists of a 24 hour tube burn-in period followed by a bias (plate) current measurement in milliamps. 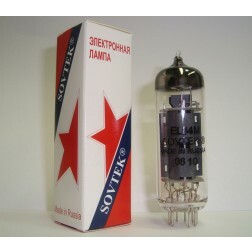 Please specify matched tube grouping (ie. pair, quad, sextet, etc.) when ordering (no odd-quantity groups please). 7189A - Industrial Version with higher screen and plate ratings. 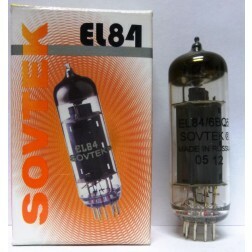 THIS TUBE HAS A DIFFERENT PINOUT and CANNOT BE USED IN 6BQ5/EL84 SOCKETS UNLESS YOU HAVE VERIFIED IT WILL WORK!